My part of my art trade with Mitsu, although it was finished way ahead of schedule. 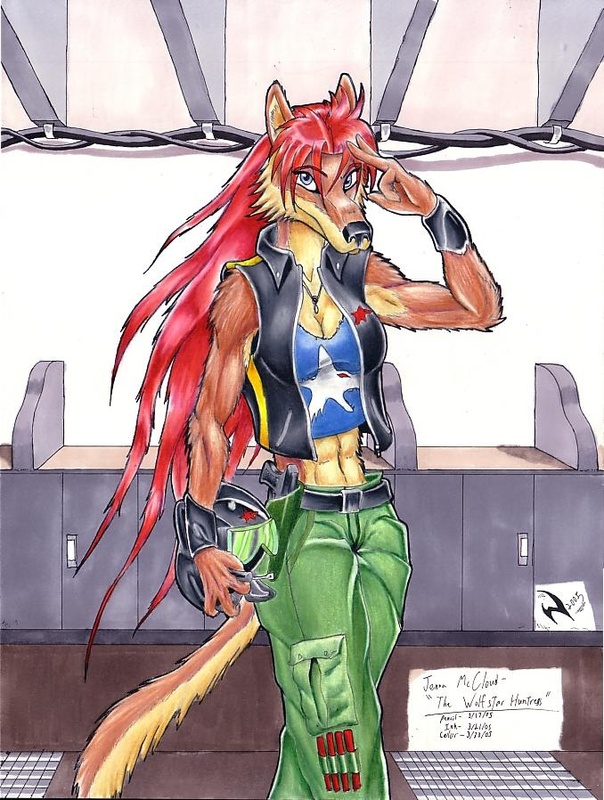 This is her character Jenna, a mercenary starship pilot. I happened to be procrastinating and finding any and every reason not to do my homework, so I burned through the night with this. I tried a couple of new coloring techniques on her hair, pants, and bracers. Also managed to refine my fur coloring technique here. Figure in Prismacolor pencils and BG in prisma markers on 9"x12" Bristol.